If an accident or the consequences of age have you in need of restorative dental work, schedule an appointment with the friendly staff at Dr. Gigi Algenio’s Family Dental. A routine cleaning is not enough if you suffer from gum disease. 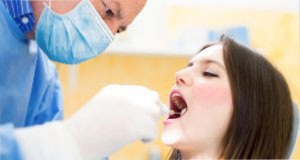 Through the scaling and root planning procedure, our hygienists can remove hard plaque build-up along the gum line, so your gums start feeling healthy and stop causing you pain. Excessive bacteria settling in the nerves of your teeth can make its way to your heart, if left un-treated. Our knowledgeable staff will help you determine whether a root canal is the right procedure for you.